Today the largest project we’ve ever produced launched via a Google Hangout with various partners in 2 locations… New York and Bermuda. 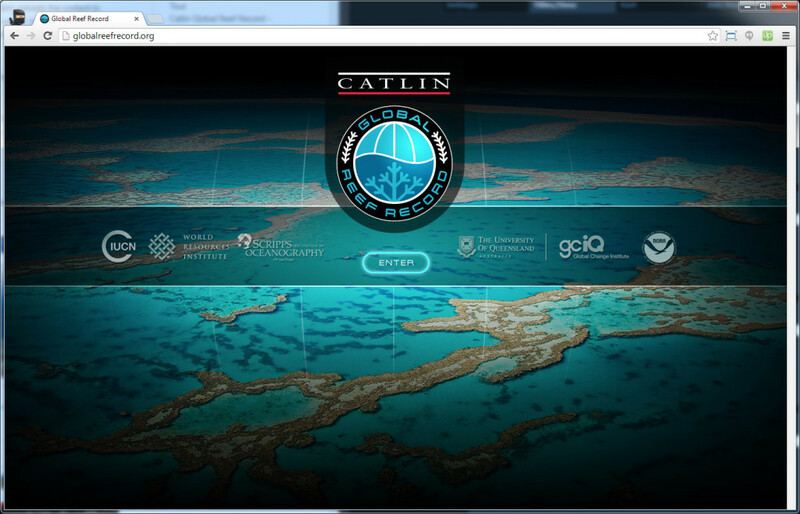 The Catlin Global Reef Record (CGRR) is so much more than the work we usually do of producing interactive media. It’s a complete system of content and data acquisition from the underwater cameras of SVII, through many stages of data processing and content stitching to the finished scientific website. Completing the project has involved developing offline processing systems for the data and content collected underwater, which marry with the online database, mapping and panorama playback systems of the CGRR website. In short… extremely difficult stuff, that had to work at scale in order to produce over 40,000 high resolution panoramas = 30+ Terrabytes of data, which compressed down to 400 Gigabytes for the website. Of course the website had to not only work well (and it does), it had to be fast. We presently use the Akamai CDN for our Panedia content… but with over 40,000 panoramas, each containing 40+ pieces of content, there’s no way a CDN would cache anything of value for the local user. So we built our own CDN of sorts. The CGRR system uploads the content to Amazon S3 (USA), then replicates it to various S3 locations around the world. When the user enters the site, we check their location and serve content from the nearest S3 facility containing our data. Speed tests confirm the content is vastly quicker in various locations, over a traditional CDN or single S3 location. So now the site is live, we start on the next phases of the project. The current site is geared towards scientists, with a more public leaning version coming in 2014. The link below takes you directly to the content, in this case a 1-2 km transect of Myrmidon Reef on the Great Barrier Reef. Check out the ‘video’ link where we’ve created hyperlapse videos for each reef. In this video near the end the divers see a pod of dolphins and go off chasing them… fun stuff.